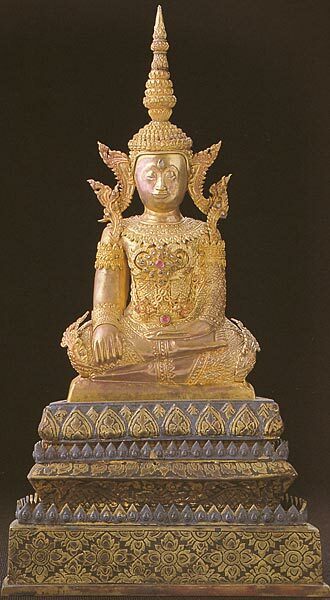 The potent King Jambupati lived during the time of the Buddha and exerted terror around himself. 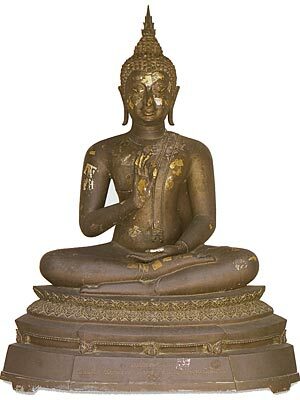 The Buddha requested that Jambupati forsake evil and practice kindness. 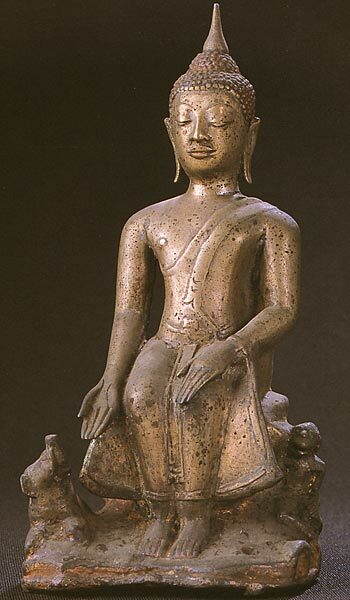 When the king remained reluctant, the Buddha appeared in resplendent royal garments that awed Jambupati into accepting the Buddhist precepts. Therefore I stand still and you stand not still." Angulimala threw away his sword, and the Buddha blessed him.